Today, my gorgeous girlfriends and their children joined us for a unit on Landforms. 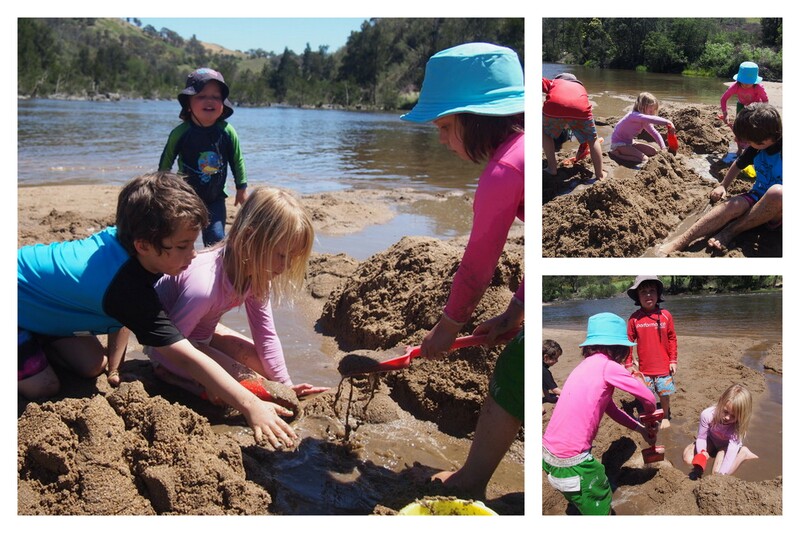 So we headed down to a local river reserve where I knew there was loads of sand. It was a perfect day and we bought alive landforms. Earlier in the week, we reviewed our landforms. These landforms took me AGES to make and I made far too many mistakes in making them. One day I might right up about these. So when we got down to the river, I bought out all the above landforms and discussed them. Talking about where you would normally find a peninsula, or that beaches are often found in bays. And how we need to know what these are, so that when someone says meet me at the bay, you know what it is, or if your dad wants to meet you at the peninsula for fishing, you know what this is. I then asked them each to choose a landform to make. So after a bit of play at the river, I handed Josie to my friend for some cuddles and starting digging. Making our first main island. Pretty soon, I had the co-operation and enthusiasm of little landform creators around me. I then started roping them in to build their chosen landform. I loved the co-operation. 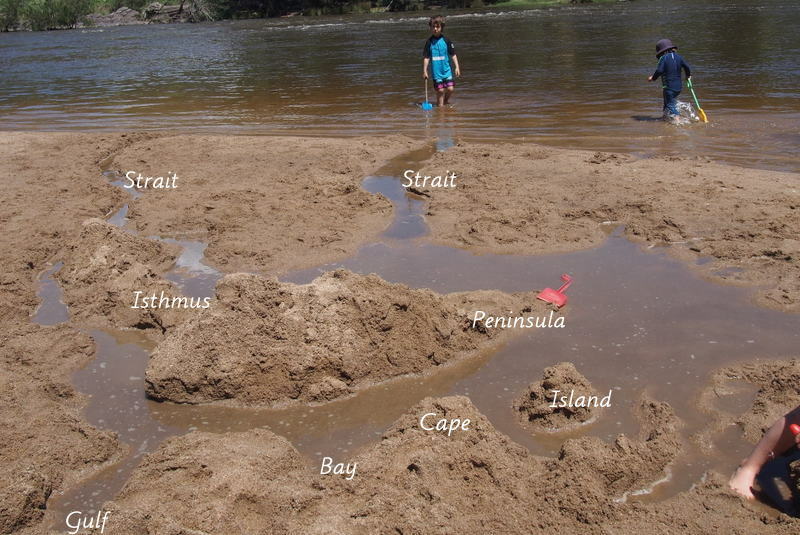 Here we had to build another island to make an isthmus. 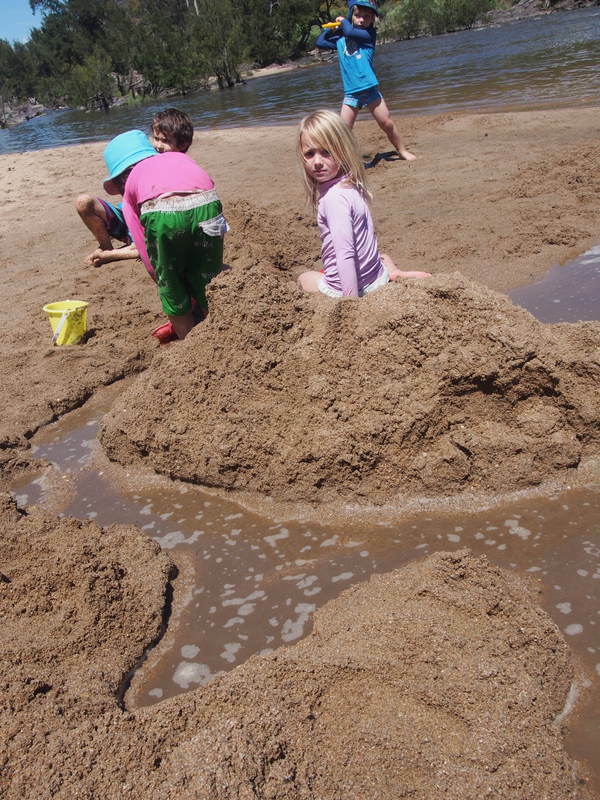 I love how I had ideas about how to build a landform and then I’d rather watch as each individual has their own ideas too and they were fantastic. One could also see how although we had worked on what a landform was, this understanding still wasn’t quite there, like the isthmus. So here I could guide them on building another island – now let’s join them together to make an isthmus. And you could see the realization happening! I loved watching the dedication of little 4year old Ollie to completing his strait project. He was so focused. We had kids shouting out their landforms. The younger ones just loved being part of the fun, paddling in the cool water around us. I think every Montessori classroom should go on an outing and bring landforms alive. 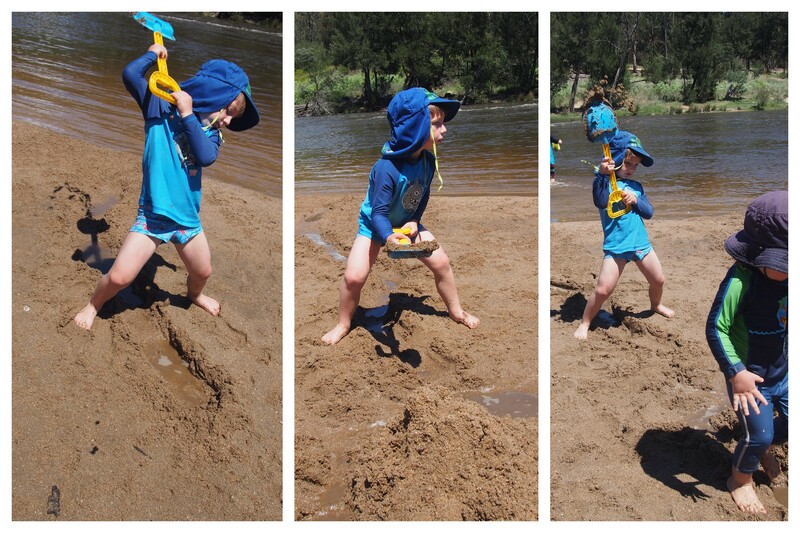 This can be done at a river like us, or the beach, or just ones backyard in the sandpit. You are so welcome. We had so much fun! I have ALWAYS wanted to do this but always felt overwhelmed by the task. Lol. You’re my new idol 😉 And inspiration – we may just have to do it now!! Amber, of course… share. gosh and you live at the coast – a haven. At the beach I’d try to find an inlet, so that you can build a strait to your other landforms and then the water just gushes down. I found it worked so great having best friends to call on to say, “let’s go”. It also helped to sink in land forms – last night the kids and I were looking through a new GORGEOUS Readers Digest book, called “Australia A celebration” (A price tag I’m balking at, but thinking well worth keeping). And we saw this amazing isthmus and Izaac and I were tickled to find it and then try to recall the name again. It’s just made landforms exciting to discover. 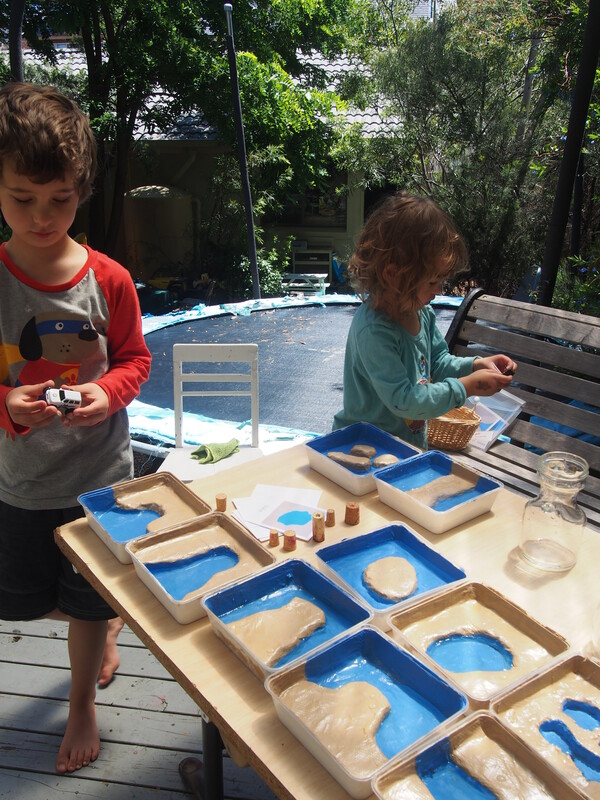 What a lovely way to learn the land and water forms! This is where homeschooling definitely has the advantage over a classroom! Willow, for sure. It was such a fun day. 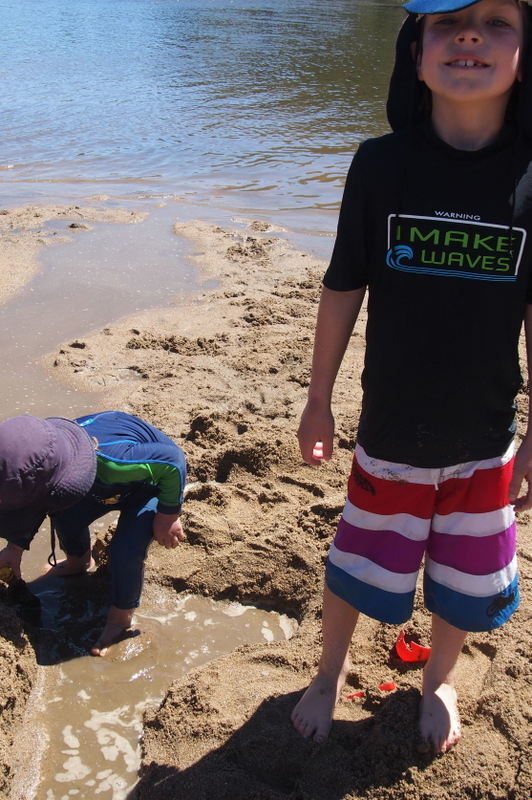 Also one I so suggest for Spring or Autumn, where it is not too warm, so kids don’t wonder off into the water too much, but stay focused on the sand. 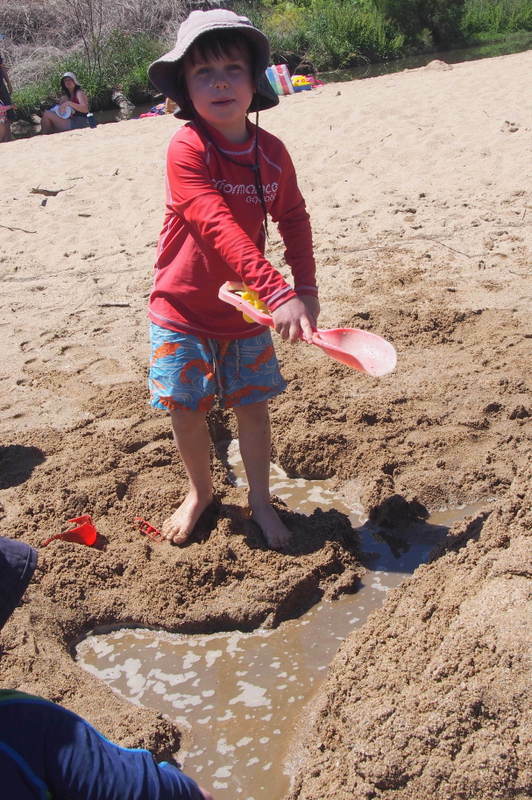 But even if one is in a school setting – a trip down to the local river and just have fun together (with loads of help from their mums for safety).